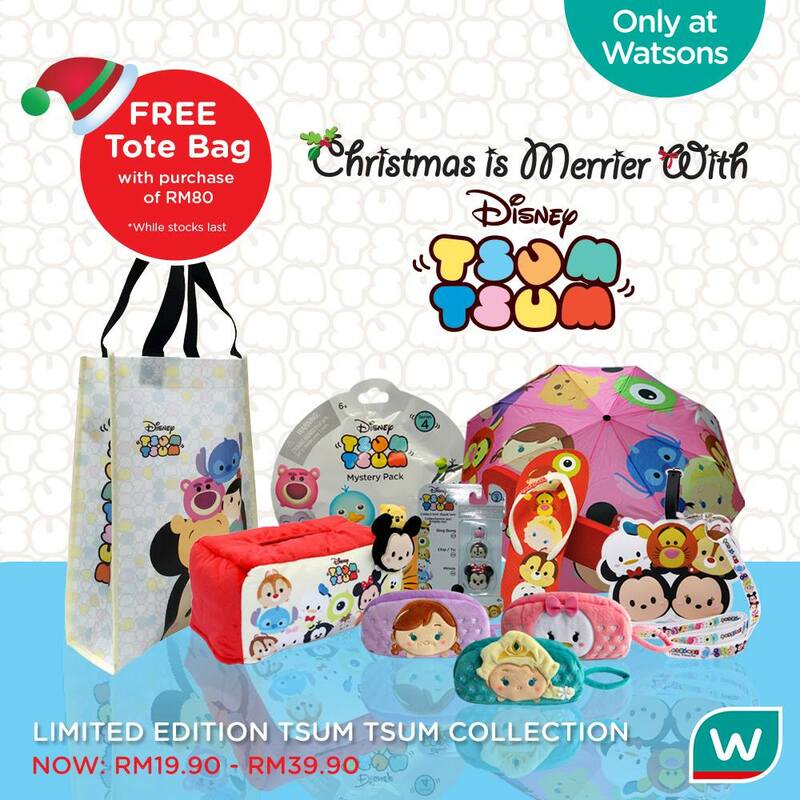 This festive season, get your loved ones and yourself Disney Tsum Tsum Limited Edition Collection! Enjoy up to 70% OFF and receive a FREE Tote Bag with purchase of RM80 and above when purchase Disney Tsum Tsum collection! Hurry, shop them now at your nearest Watsons store.